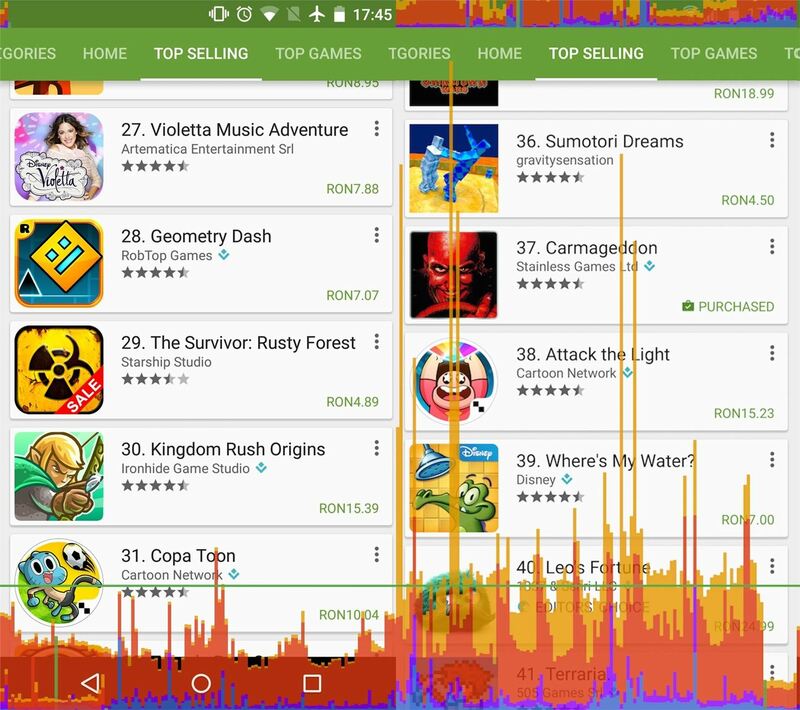 On the list of problems with Android, manufacturer tinkering ranks near the top. Slow or nonexistent updates, poor performance, excessive bloatware apps—all of these things can be attributed to manufacturer skins like TouchWiz or Sense, and none of them are issues with unmodified, Vanilla Android devices like the Nexus series. That's not to say that manufacturers aren't contributing to the Android platform—they certainly make some great devices. But the problem arises when, instead of just manufacturing great hardware, these companies decide to dabble in software by layering extra "features" on top of the polished, open-source version of Android that a real software company in Google has made available to them. Manufacturers have a need to differentiate themselves from one another. In a perfect world, this would be accomplished by developing cutting-edge hardware that outshines the competition, but instead, they use software features to separate themselves. You see, all Android manufacturers have access to the same open-source code base that makes up Android, but if they all left it at that, their software would be identical and they wouldn't have the latest gimmicky feature to push in their ad campaigns. 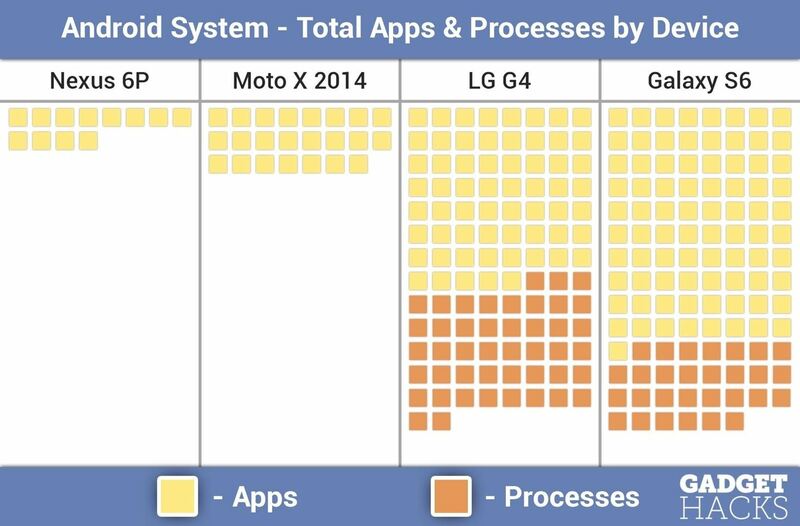 When you bog down the Android system like Samsung and LG have here, everything suffers. Sure, you get an extra feature or two, but it comes at a cost of battery life and performance. To top that off, when Android itself receives an update to plug critical security loopholes, this means that the manufacturer has to go back and painstakingly add all of this bloat back in, which is the main reason that devices running stock Android receive updates roughly 6 months before devices with manufacturer skins. If you need any more evidence, just look at the two GPU rendering scores below, where spikes represent dropped frames and slow rendering. The device on the left is the Nexus 5 (a $349 phone released in 2013), and the device on the right is the Galaxy S6 Edge (a $749 phone released in 2015). With otherworldly hardware compared to the Nexus 5, and both devices running the same base Android version, there's only one thing to blame for the Galaxy S6's poor performance—a bloated manufacturer skin. You might think the solution would be to smack the manufacturers in their foreheads and hand them a V8, yelling "Wake up, dummies!" But they're really only responding to what the market wants—cool, cutting-edge software features that you can show off to your friends in an effort to prove you have the better phone. Therefore, the only plausible solution to this problem is something that must be initiated by Google, who develops Android's main code base. These software gimmicks will continue to be a thing, and manufacturers will sill want a framework these "features" can use to hook into—so Google needs to provide this as part of stock Android. By working more closely with manufacturers while developing Android, Google could create a more efficient framework for manufacturer skins to run on. It would still need to be customizeable so that manufacturers could enable or disable certain aspects to differentiate themselves, and manufacturers would surely continue to add in a few apps and features here and there. But if it were done properly, we would all stand to gain battery life, performance, and features. We've actually seen evidence of Google teaming up with manufacturers to add custom frameworks and software features in the past. Manufacturer-exclusive features like Motorola's always-listening "OK Google" hotword detection have been added to AOSP and are now available to anyone who wants to implement them. Sony, another company known for its lightweight and efficient skins, has even contributed its own theme engine to AOSP, which can be used by manufacturers to completely customize Android's UI. If Google really wants to throw its weight around and get manufacturers to dial back the skins, it might just be possible. Of course it's a two-way street, so there would have to be some give and take, and the manufacturers would need Google to implement a framework that they could use to differentiate themselves. Until that day comes, though, I'll be sticking to Nexus devices (which not even carriers, the other side to this fragmentation coin, can touch). Follow Android Hacks on Facebook or Twitter, or Gadget Hacks on Facebook, Google+, or Twitter. How To: Why Aren't More Manufacturers Using Nougat's Seamless Updates Feature? So which phone has the least meddled-with Android system? That one is easy—any of the Nexus devices. These are basically "Google phones" made by different manufacturers. Motorola Devices are the closest relatives of stock android. All 3 can't be called bloat since they're useful on daily basis. I'm new to Android, we live in the sticks and until recently had no mobile coverage. Can one install a basic version of Android to replace the heavily modded one? Yep, that's called a "Custom ROM," which replaces the entire operating system on your device. Most of the popular custom ROMs are based on stock Android and don't come with any bloatware pre-installed. The process of installing a custom ROM will vary depending on your device. For some, it's really easy, while other phones make it a bit harder to replace their stock firmware. But I recently wrote a general purpose guide for installing custom ROMs, so this article might be a good place to start.